Often just obsessing about weight loss can be super harmful and counterproductive to our health success. Focusing on weight is a recipe for disaster, failure, and guilt. 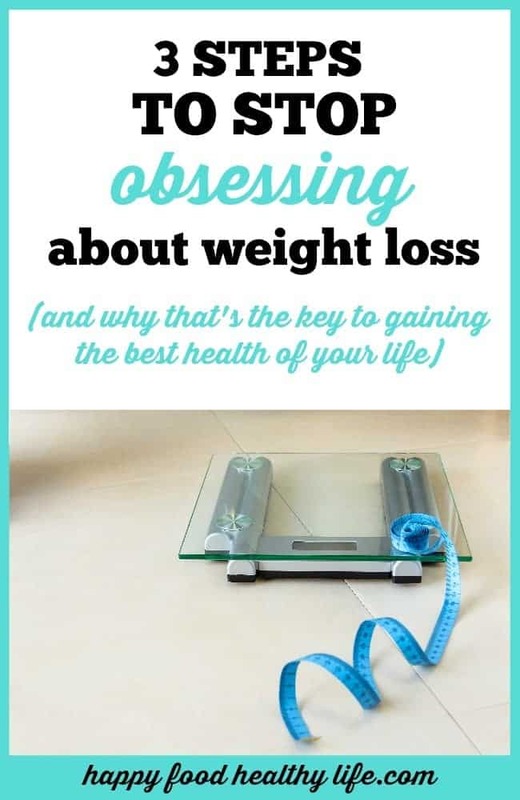 Learn how to stop obsessing and start gaining health. Do you feel it? The intense desire to look a certain way. The need to weigh a certain amount. The urge to fit into a certain size pair of pants. It can be all-consuming. It can be the only thing that fills our minds at times. It can honestly and truly take over. And let me tell you, that is no way to live. What happens when weight becomes the focus? You don’t see all your non-weight wins. What about the fact that you just ran a mile for the first time ever yesterday? What about the fact that you feel freakin’ amazing and confident in your new dress? What about the fact that you were able to beat your boyfriend in an arm wrestling match because you’ve been killin’ it at the gym? What about all that? Do these wins mean nothing at all? If you do all these awesome things but don’t manage to lose even a pound, do you just disregard all those wins? You could be high as a kite from finishing an amazing run, but as soon as you step on the scale and you don’t see that number go down, you’re pissed off and frustrated. I don’t know about you, but something is wrong with that picture. Those wins mean something. They mean something big. Bigger than the dumb number on the scale. You put your life on hold until you hit these weight and body-related goals. We often put restrictions on their lives. Do any of these sound familiar? I will go on vacation once I get that 6-pack and can wear a cute bikini. I will get married once my dream wedding dress will look perfect on me. I will have kids once I’m in good shape. I will go to the gym once I lose 5-10 pounds, so I don’t look completely out of shape. I will join the playdate group once I lose that baby weight so I look like I have it all together. This is just the tip of the iceberg, I’m sure. 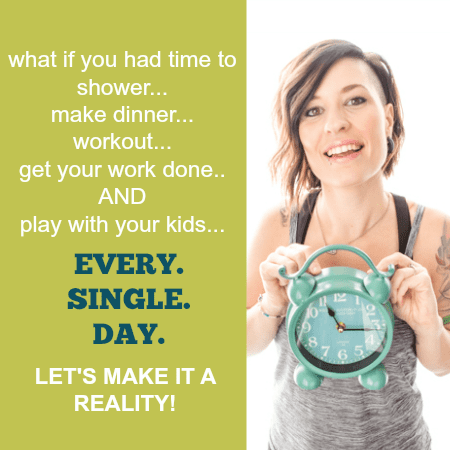 What are you putting off? What activities, events, or adventures are on hold while you wait for your body to look a certain way? I am telling you right here and now, that you are worthy of experiencing all adventures this life has to offer, no matter what size, shape, or weight you are. In reality, the time keeps on ticking. Life keeps on moving. And as you know, life is short, and there just it not enough time to waste worrying about our bodies. You feel a huge sense of guilt and failure when those goals aren’t met. One of two things will happen when you focus solely on your weight. Either you will struggle to ever reach your goal weight. Or you will get there, you’ll celebrate and feel awesome, and then you’ll struggle to maintain it for a long period of time. I’m not being rude and negative here. I’m only being honest. The statistics back it all up. So then what happens? You get down on yourself. You feel like a failure. You feel guilty. And those feelings just sabotage your future successes to the point that you’re unable to make real progress. It’s just an endless cycle that’s hard to end. We are not playing this game any more. Gone are the days of starting day one with a weigh-in and body measurements. Those numbers mean nothing. Nothing at all. Who cares what those numbers are? You tell me, what do they measure? The number on the scale, does it measure anything of importance? Does it tell you your worth? Does it tell you how creative you are? Does it tell you how smart you are? Does it tell you how loving you are? Does it tell you how good of a mom, girlfriend, wife, sister, aunt, daughter, or friend you are? The number on the scale… does it measure anything of importance? I think not! My friend, that number looking back at you means nothing of worth. Our weight is determined by so many things and fluctuates so much. It changes from the amount of water you drink. It changes from the amount of salt you eat. It changes as you build muscle. It changes at certain times of the month. There are always small fluctuations that will make your weight move up and down, so there is truly no point in using that as a gauge for success. So this is what you’re going to do. And this is where it’s going to get a bit uncomfortable. 1. Get rid of it! That’s right – get rid of your scale. 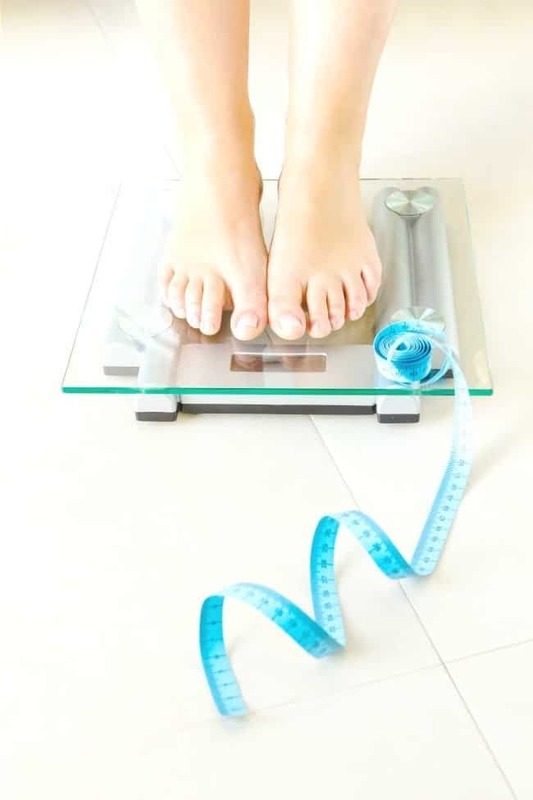 I don’t want you to be tempted to step on the scale to measure your starting place or your progress. I don’t want your mood to be affected by your weight. So it’s time to get it out of your house. Preferably in a dumpster far far away. As it’s time to start your health journey, your weight is not a valid starting point. Because your weight does not define you. This is a journey that will be so much more than a weight loss journey. This is a life-changing journey. 2. You’re not going to weigh yourself, and you’re not going to measure yourself. So how exactly will you measure success? Because, of course, you will want to know that your life is changing for the better. So this is what you’re going to do. I want you to take evaluation of your life. Where are you in each area of your life? What moods and emotions do you associate with your life in these areas? Or maybe these categories don’t apply to you. List all aspects of your life and evaluate where you are in each one. Are you content with where you are? Could you be happier? Do you feel absolutely hopeless in this area? This is your starting point. These are the things that matter. 3. Once you know where you are, you can start making goals in each area of your life. What changes do you want to see over the course of the next few months? Write down what you would like your life to look like in each category and what it would mean for you to see those changes. As you can see, like I said before, this is so much more than just a way to lose weight. Focusing on weight is a recipe for disaster, failure, and guilt. Bringing the focus in on things that actually matter is the perfect recipe for a successful and sustainable journey of health and happiness. Now that you are going to stop focusing on your weight, what now? Where do you go from here? As a way to stray from mainstream thinking when it comes to health, I’d love to show you the Anti-Dieting way. Away from these myths and lies. Away from all the junk. I want to make sure you’re jumping in the RIGHT way (and believe me, there is definitely a right and a wrong way here). So I’ve put together a FREE Jumpstart Your Anti-Diet Life Challenge just for you. So you can start out the right way. So you can jump into a life that makes sense, unlike dieting and dumb rules. If you liked this post, make sure you share it on Pinterest, Facebook, Twitter, and StumbleUpon with the buttons below. I’m so happy to hear that you have found acceptance and love for yourself. Not many women ever get to that point, so that’s really commendable. This is so very true Jamie. Those numbers mean nothing at all. Thanks for coming by!